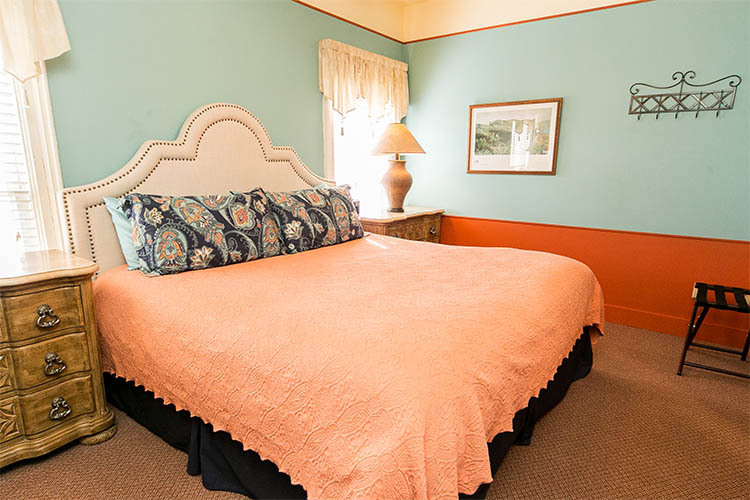 If you need room to spread out, the largest suite at our bed and breakfast in Saugatuck is just right for you. Located on the second floor and set up like an apartment, The San Juan Suite features a separate bedroom with king bed, allowing one of you to sleep in while the other one can watch TV in the living room. There’s a fully equipped kitchen with stove that gives you the option of staying in and creating a gourmet meal. Part of the original frame structure on the site, this space once hosted guests who danced to the music of Wurzburg’s orchestra of Grand Rapids during a house warming in 1898. Bright, colorful and surrounded by windows, The San Juan features a massive wood-burning fireplace that required us to coax an old stone mason out of retirement in order to assemble it. Numerous trips to Puerto Rico provided all the artwork and crafts. Our prized possession is a “Santo” of an angel crafted by a world-renowned wood carver. 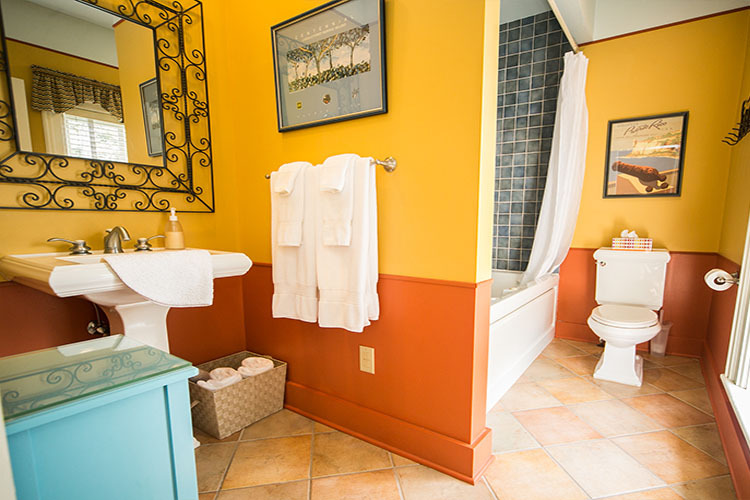 If you are booking two or more rooms for your stay at Hidden Garden Cottages & Suites, we always suggest that one of them be the San Juan Suite. It’s large enough to serve as a gathering space for two or three couples.